Taking a close look at multimodal composing as an essential new literacy in schools, this volume draws from contextualized case studies across educational contexts to provide detailed portraits of teachers and students at work in classrooms. 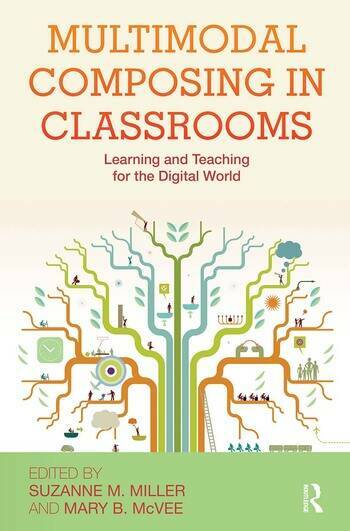 Authors elaborate key issues in transforming classrooms with student multimodal composing, including changes in teachers, teaching, and learning. Six action principles for teaching for embodied learning through multimodal composing are presented and explained. The rich illustrations of practice encourage both discussion of practical challenges and dilemmas and conceptualization beyond the specific cases. Historically, issues in New Literacy Studies, multimodality, new literacies, and multiliteracies have primarily been addressed theoretically, promoting a shift in educators’ thinking about what constitutes literacy teaching and learning in a world no longer bounded by print text only. Such theory is necessary (and beneficial for re-thinking practices). What Multimodal Composing in Classrooms contributes to this scholarship are the voices of teachers and students talking about changing practices in real classrooms. Suzanne M. Miller is Chair, Department of Learning and Instruction, Graduate School of Education, University at Buffalo, State University of New York. Mary McVee is Associate Professor, Literacy Studies and Director, Center for Literacy and Reading Instruction, University at Buffalo, State University of New York.